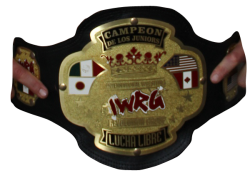 Hijo de Canis Lupus is the current champion. He defeated Hijo del Alebrije on September 09, 2018 in Arena Naucalpan to win the championship. This page was last edited on 13 September 2018, at 19:47.